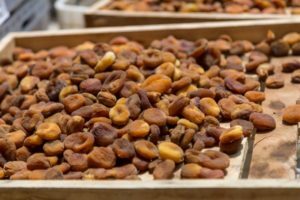 Officially, the Turkish 2018 dried apricots crop size has been estimated 89.318 tons. According to our research we expect about 100.000 tons. With the carry over stocks , we believe that we have enough fruit quantity wise. Because of the heavy rains and hail in spring and during early summer, majority of the fruit has speckles and hail damage . This season apricots matured very early at all orchards at once. This created a serious colour problem – colours are pale and darker than usual. It decreased the quality of hand work of farmers. 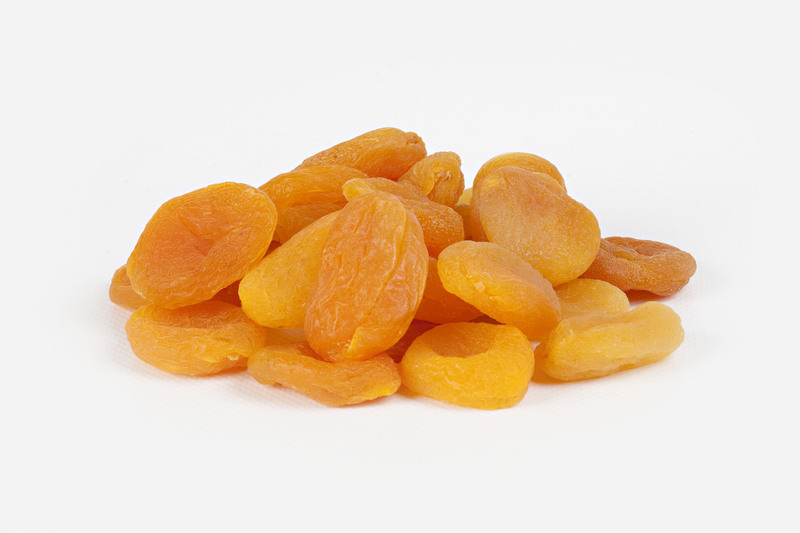 According to the location and altitude of the orchards, apricots used to get matured at different times. Ripening generally starts from lowlands next to the dam lake and slowly moves to the higher lands. Even in the same orchard, according to age/variety /location of the trees, the ripening time vary. The time variety of the maturity helps to use the labour more efficiently and allows the farmers to have enough time to take care of the quality. For a good colour, the fruit should be harvested and SO2 treated before the full maturity . If the fruit gets fully matured, SO2 cannot penetrate into the fruit perfectly and colours become pale and darker than it is supposed to be. 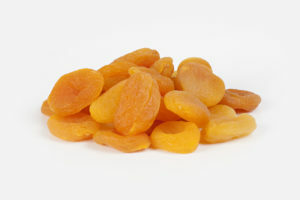 The seeds should be pitted after a few days of drying when apricots get soften . If the workers do not have enough time for pitting they damage the fruit during pitting . We estimate that the crop 2018 is mostly Size # 3-4-5. Due to the carry over stocks from the crop 2017 small sizes will not have a dramatic shortage but it will be extremely difficult to find good quality big sizes. Production costs have increased a lot. Carton prices doubled, labour costs, energy prices and domestic transportation prices have increased up to % 20-30 . Raw material prices are already too high but due to the devaluation of Turkish Lira, we do not see a sharp increase in our export price offers . If Turkish Lira gains value, price increase will be more than expected on foreign currencies . We are at the beginning of the crop season, farmers need money to cover their harvest expenses. So there should be plenty of offers in the market. But farmers bring only their very bad quality products to the market. All farmers believe that good quality products will go with a premium so they prefer to keep their good quality and reasonable quality products in their stocks . We are at the beginning of the season and we already have a big shortage of good quality products.